Many craft beer breweries allow you to pop in and get a professional tasting under your belt, to get a better understanding of what you’re actually drinking and how complex and diverse these beers can be. It’s pretty cool to think that just four ingredients allow for such a variety of beers and breweries. Being able drop a few facts about craft beer is not a bad party trick either. But what about taking the party home and having a beer tasting in the comfort of your own home? Especially in the colder months when it’s easier to stay snug indoors, everyone is comfy, nobody is drinking and driving and you can taste your favourite beer over and over again if you so wish. Sounds good right? So now that you have a rough idea for next weekend gather all of your mates and follow our fail-proof guide for the best craft beer tasting. The League of Beers Monthly Mixed case is always filled with a great selection of some of the best craft beers on the scene. It’s packed with the perfect variety in order to please every palate. The beers come in cases of six, twelve and twenty-four so you can decide for what crowd size you need beers for. The beers of the month are chosen with great care to ensure that all aromas such as crisp, hot, malt, smoky, roasted, fruity, floral and spiced are being covered. Take the tasting one step further and make it a pairing session of beers married with their perfect food match. 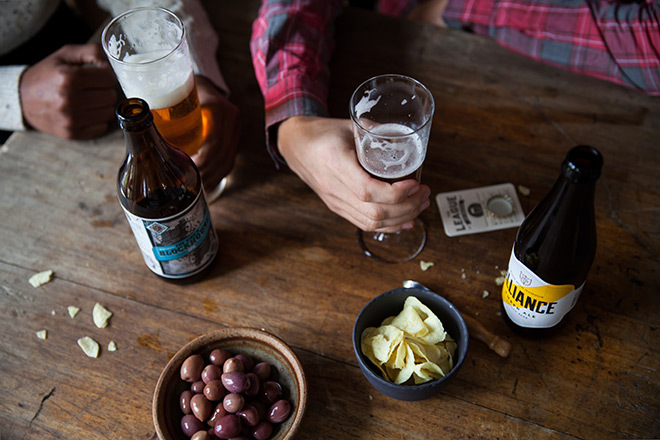 Keep the foods as snacks and finger foods to allow everyone to try a variety of food pairings for the beer. 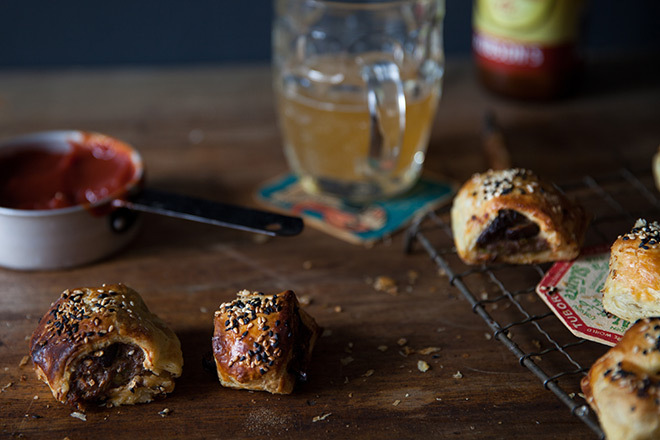 You could make one snack to pair with each beer and have that be part of the tasting – to guess which snack goes best with the current beer. It’s a good idea to ensure there is food in the house anyway, considering people are going to be drinking, we don’t need any empty stomach stories from the guests. You are not going to get very far without the beer guide, The Craft Beer Times. Lucky for you, you don’t have to go very far to get it because it will be sitting pretty inside the League of Beers Monthly Mixed Case. 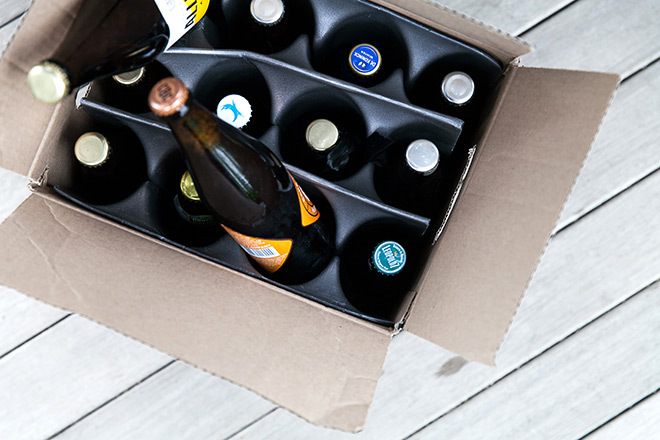 On the reverse side of The Craft Beer Times there will be a solid description of the beers in the case including areas such as appearance, aroma, flavour, mouthfeel, overall of the beer and of course a cheeky suggestion of where to drink the beer. Just to make sure you look like a craft beer professional in front of your mates when hosting the tasting. Well now, this is completely up to you, but we all know it’s not a real party until there are good tunes playing. We like to find perfect song pairings to our beers too – just to prove you can find an ideal pairing of anything with beer. It’s not just wine that benefits from specifically crafted glasses. Check out our Spiegelau set of craft beer tasting glasses to maximise your experience and taste the best in every beer. Of course it’s a bit pricy to have several sets (we think each honourary beer tasting club member should come to the party with their own glasses) alternatively a standard set of beer glasses like these CBC Lager glasses will do just fine. First and foremost the beer needs to be properly chilled. Make sure the beers are able to perform at the best of their ability by being cooled at the perfect temperature. Grab some cooler boxes or a leak proof bin and fill it up with ice cubes. Bury the bottles of beer in the ice. Don’t be the person who serves your friends warm beer. Ten minutes before it’s time for the tasting, pull the beers out of the ice and put them on the table along with a few bottle openers. Appearance in colour and viscosity as well as head | golden, amber, copper, red, brown or black | cloudy or clear | no head or frothy, creamy head etc. Flavour | sweet, rich, creamy, bitter etc. At the end of the tasting, notes can be compared and everybody can figure out which beer was their favourite. 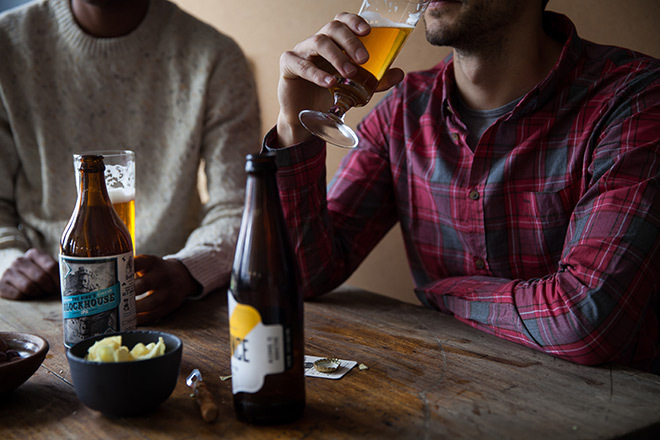 TIP | Always start with the lightest coloured beer and work your way through to finish with the beer that is darkest in colour. The beers are already in the correct tasting order on The Craft Beer Times. Hold up the bottle of beer and tell everybody what it is that they will be tasting. Pour everybody half a glass of beer, as a “taste” is half a glass full. Tilt the glass to the side when pouring the beer to allow for the perfect amount of foam to form. Then let them sniff away and see what they can smell through the foam floating on top. Loads of fruit and foodie words will be thrown around at this stage. Now it’s time to have that first sip. Let everybody add their take on what flavours they’re picking up on. We’ve found this often result in wonderful trips down memory lane as team members pick up on flavours reminiscent of Wrigley’s Gum or Steri Stumpie Milkshakes. Everyone in your tasting group should now fill in their chart before moving on to the next beer. At the end of the tasting compare all of the charts to see the winning craft beers and who liked what as well as to learn from your friends observations and experiences. Then – consume all left over beer to much merriment. 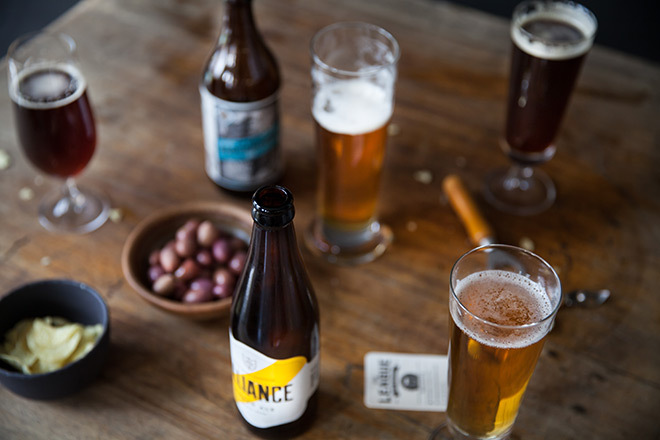 A beer tasting is not only a different kind of fun to be had with the gang, but it’s also a way to appreciate the skill of local and international craft breweries. It’s nothing but passion, love and dedication that goes into the making of these beers. Be sure to pick up your League of Beers Monthly Mixed case, and let the good times roll. Or sign up to the Beer of the Month Club and get 10% off.